Bone china with gilt. 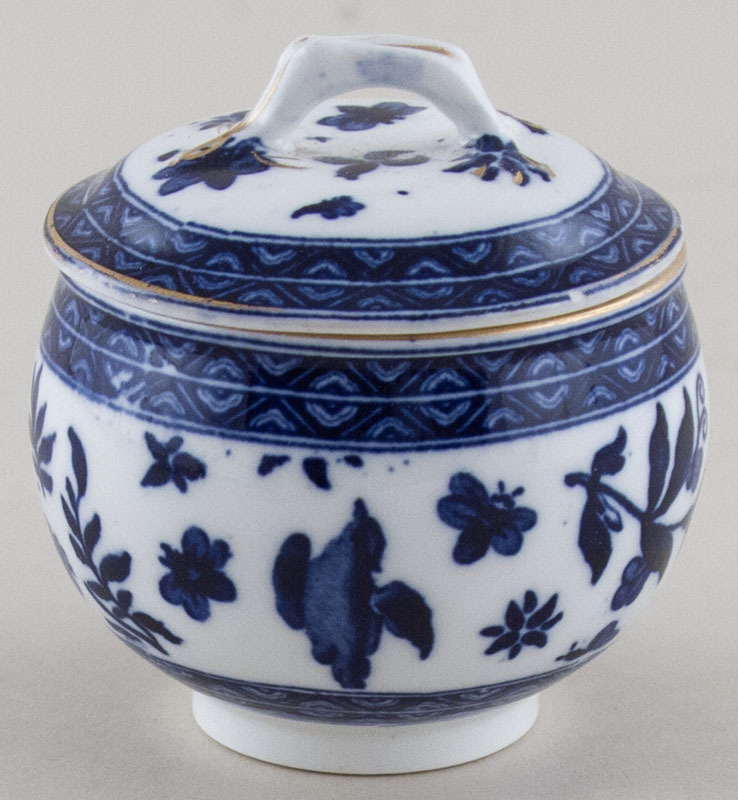 A delightful lidded sugar with delicate loop handle. No backstamp. A little minor discolouration underneath and a tiny nick to the rim of the lid.